As screening tools become more prevalent and the public more educated, more and more people are discovering that they are celiac. Although there is no cure for celiac disease, the symptoms can be managed with a gluten-free diet. Celiac disease, referred to as coeliac disease in Britain and often called celiac sprue, is an autoimmune disease that affects primarily the small intestine, although because of nutrient malabsorption the disease has far-reaching effects on the body’s systems and on the sufferer’s general health. As the tissues in the small intestine come into contact with wheat gluten, the body’s immune system triggers an immune response that targets its own tissues. Villi are small projections that project out from the lining of the intestinal wall. They allow for an increased surface area in the small intestine, but also support enzymes and capillaries that gather energy and nutrients from food. It is the damage to the intestinal villi that cause the symptoms of celiac disease. This is also why the only known treatment for the disease is a gluten-free diet. It is often associated with abdominal pain and cramping, as well as bloating. As the celiac disease progresses, the damage to the intestinal villi becomes more severe. Because the body’s ability to absorb nutrients from food has been damaged, more severe symptoms of celiac disease are associated with vitamin deficiency. Celiac disease is often misinterpreted as a wheat allergy, but the symptoms of celiac disease are actually caused not by an allergic reaction to wheat, but rather by a reaction to the gluten proteins found in wheat products. One thing that makes the disease much more complicated for sufferers is that wheat gluten is not just found in wheat products such as bread and pasta, but in a whole host of food and medical products. Wheat gluten is present in many alcoholic beverages, soy sauce, and meat substitutes. At present, the only treatment for celiac disease is a diet that is completely free from wheat gluten or a diet that eliminates as much wheat gluten from the diet as possible. This means not only eliminating wheat but products that contain gluten, many of which do not declare the fact on their labels, especially in the United States. 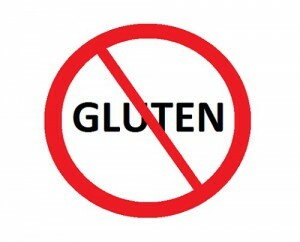 Sticking to a gluten-free diet can be difficult, and plans must be made when eating out or at a strange place. There are no medications available that will prevent or heal the damage that occurs to the intestinal villi when gluten is consumed, but a diligent adherence to the diet will allow for the intestines to heal slowly. Although there is no cure for celiac disease, the negative factors of the disease can be managed and hopefully ameliorated, especially if the diet is started soon after the symptoms begin.